under the fourth, the third beside the fifth. with its icy rivers turned to salt. you can contact the following www.seva.org Seva is an organization that has been active in doing helping work in Nepal (and elsewhere) for many, many years. 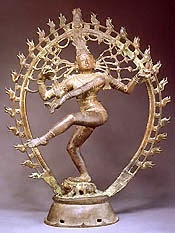 Never trust a god who doesn't dance. Who are the dancing gods? At the damndest finest ruins ever gazed on anywhere. Sort of sorry for each other cause you had to burn and fall. But the damndest finest ruins - nothin' more or nothin' less. And build our homes and factories upon land they've got to give. In the damndest finest ruins still I'd rather be a brick! I speak in many tongues. for I am all that is. Terry Patton is one of the wisest and most articulate spokespersons for the current shift of consciousness now underway. This presentation (free) will, I am sure, be well worth listening to. We are lucky to live in a time when such events are so readily available to us all. 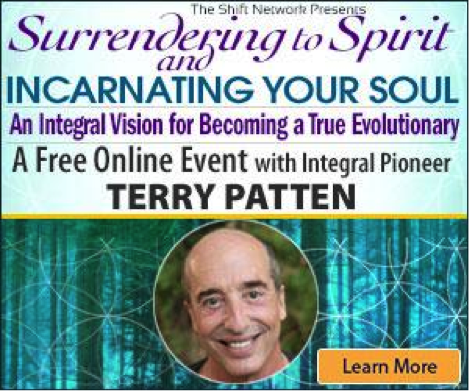 Google Terry Patton, then add Surrendering to Spirit and Incarnating Your Soul for more info. Some of us are feeling called to be the change we want to see in the world, to become a real force for healthy conscious evolution. But what does it take to become a true integral “evolutionary?” To not only wake up, but to become higher consciousness in action? To go beyond ego and yet to contribute your own special gifts? I believe it takes a life of practice, a journey of surrendering to the deeper, often unnoticed, currents of life and consciousness so that you become the embodiment of your soul and of evolution itself. You literally become the head, heart and hands of Spirit, so that evolution is always happening through you to answer the challenges of your life and of the greater world—and in the particular ways that only you, right here, right now, can. Part of my ongoing exploration of what I call “Integral Soul Work” has been working with dissonance and paradox. Spiritual practice awakens us from the surface levels of experience to the conscious Mystery of Existence. Soul work takes us on a highly personal, deep inward journey, allowing our most authentic singular character to take over our lives, letting the inauthentic and superficial aspects of us fall away. That's why both spirituality and soul work are associated with “going deep inside” and enacting an inner alchemical transformation of our consciousness. The dissonance comes from the fact that it’s “game time” on the planet; our world is speeding up, and our global crises are becoming more urgent and complex. Some people think we’ve arrived at a time where the inward-focus of spirituality and soul work have become a luxury we cannot afford. But my immersion in spiritual practice and soul work, anchored in integral theory, has shown me that it is exactly the opposite: it is by awakening to awareness and attuning to the voice of our soul that we can actually become effective change-agents. We can honor the fact that our soul is on a journey AND so is our shared world. And the two journeys are interdependent. Effective, sustained, wise activism requires full-spectrum soulful awakened activists. This implies two kinds of mystical practice. Radical awakening as consciousness liberates us from false identities and divisions, liberating awareness. That’s primary, but it won’t help us answer personal questions, like Where should I move? Who should I marry? What house should I buy? or What is my life purpose? To answer these hugely consequential questions we need to tune in to our highest relative intuition. We need to contact a deeper source of knowing. Our hearts need to be able to discern the voice of our soul, and cultivating that relationship is a profound journey. Integral Soul Work integrates these two forms of mysticism in a practical way that you can cultivate to actually live your life’s true purpose. This is profoundly self-actualizing and personally gratifying, but it’s even more important for the sake of our world. Our crises are calling us to be the change we want to see in the world. An integral vision is indispensable for anchoring this kind of authentic evolutionary consciousness, enabling you to see the full spectrum of the outer and inner cosmos, and to inhabit all the dimensions of your own being and understand clearly how you are related to others and the world—shadow and light, heart and soul, interior and exterior, masculine and feminine. You can come to stand at the heart where all the polarities intersect as the dazzling fabric of conscious awareness that is synchronizing and aligning so that you can be a channel through which grace can pour into this world. I hope for this seminar to be an intimate, immersive experience. I’ll offer my findings of over four decades of advanced mystical, intellectual and embodied investigation into the higher reaches of the spiritual path and the deepest truths of what it means to be a true evolutionary. You’ll walk away with a practical understanding of living a truly evolutionary life—every day. Please join me for this illuminating hour where you can chart your course for becoming the embodied soul of an authentic spiritual evolutionary. P.S. 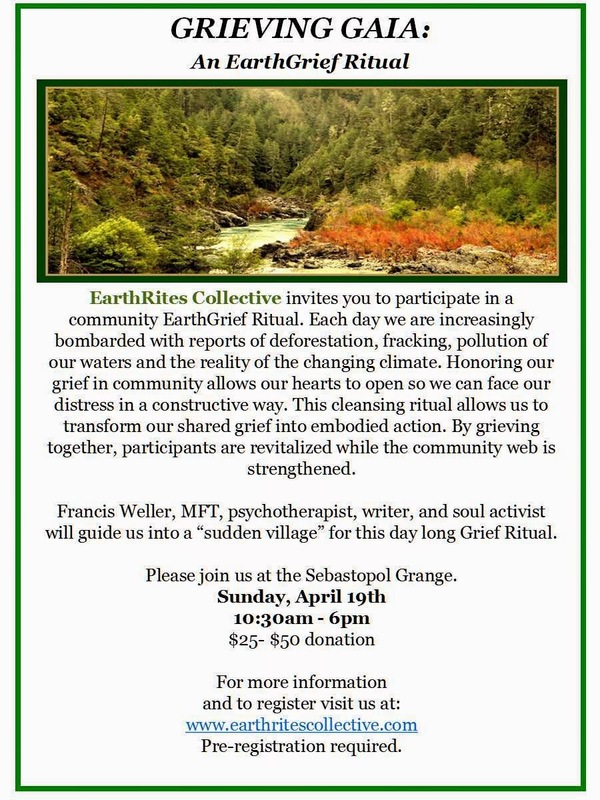 When you register for this online event at no charge, you’ll receive a link to download the recording afterwards, so I urge you to register even you’re unable to make it to the event. It happened today. I was given a recommendation for a small deli and cafe nearby. My friend and I went to try it out––the moment we walked in, we encountered indescribably beautiful odors (usually, I smell very little, but these were special). On the wall, someone had written a poem by Rumi. Books by Rumi and other mystics were on the table next to us for patrons to read. The owner came over and introduced himself. Soon he was reciting Rumi in Farsi (Rumi's own language). He had a beautiful voice, and I felt as though we were listening to Rumi himself. Soon he gave us some Persian tea. I seemed to fall into trance state, as if I had had a bit too much wine. I understood why Sufi poetry loves to employ the metaphor of wine and drunkenness to express what happens with divine poetry. I had drunk holy nectar, and it was working real magic on me. This, I thought, must be like the early tea houses on the old Silk Road. These were way stations on the path, places where travelers might relax and enjoy some poetry and music along the way. I have never encountered such a transcendent atmosphere in a commercial establishment. I felt as though I had tasted a bit of paradise. How the world needs this to refresh our souls, I thought. The food (soup and sandwich) were delicious, by the way. Indeed, I'll be back for sure. We left and re-entered the familiar world. Soon the sweet state of consciousness left. We had traveled to another world, a different era, where events conspired to carry us into a different world. For a moment, we had tasted true beauty. This beautiful documentary tracing the life of Seymour Bernstein, a New York City piano teacher now in his eighties, is a profoundly moving revelation of the life of this truly authentic being. Seymour left his career as a budding and gifted concert pianist for a life of teaching when he realized that a life on stage was far too demanding and indeed consuming for one of his sensitivity and vulnerability. He gave up all desire for fame and fortune to become one of the most beloved and creative piano teachers of our time. Seymour lives simply in the one room New York City apartment he has occupied for over 50 years. There he painstakingly and lovingly offers instruction to a variety of students, while he himself continues to practice and compose. His emphasis includes more than mere technique, though he maintains a high standard for his pupils. Yeats spoke of the need to "make your soul," and this is what Seymour has done. He wants music that comes from the heart rather than as a display of technical mastery. Often, the scenes of Seymour at his piano are seen against a background of pedestrians walking like shadows past his garden level windows. These shots remind us of references to "those who pass by" without noticing the treasures strewn along their way. There is also a slight echo of Eliot's reference to those passing over London Bridge when he says, "I had not known that death had undone so many." And for me, Plato's myth of the cave also comes to mind, though the correspondence is not exact. Clearly the suggestion in these images is that the many are so busy following their "worldly" pursuits that they have virtually sacrificed what is best within themselves through striving for shoddy or false goals. Seymour truly loves music. For him, the resonant tones of a perfect Steinway lead into a type of ecstatic union with what many call the "divine realms." He himself says that his own fingers have touched the sky. To view the intimate details of his solitary life is to witness the daily occupations of a profound and authentic human being. He tells us of the pitfalls of fame––and reminds us that those who have risen high on the ladder of public success may be private failures as far as their personal lives are concerns. In today's world, where many sacrifice their own humanity in their frantic search for "success" in the world's terms, this film is an essential reminder that "soul making" is much more essential than "career making," and that one example such as this can show us what it means to be an authentic human. For me, one of the attractions of this film is that dear Andrew Harvey is included as one of the interviewers in a brief sequence. I know that Andrew himself is a dedicated lover of music, one who resonates deeply with it as that which can connect us with other realms. And in the film, Andrew makes a stunning revelation––that he himself once heard the "music of the spheres." Though there are many historical references to this phenomenon, there are virtually no reports of humans who actually have experienced these celestial tones. Andrew, of course, is a deep mystic, and thus he is capable of capable of achieving heights of ecstasy through sound that we others may have to wait for until we leave earth and enter the higher regions of sound and silence. But it is reassuring to know that the "music of the spheres" is a reality, not a myth. that became the city of stone. ** Elizabeth Spires: "Zen Sonnet"
Note: Michael is a gifted spiritual teacher who helps others explore the hidden recesses of themselves in order to become whole and move ahead on their own journeys into self knowledge. always hanging in the air. Note: I debated whether or not to post this poem. I realize that many come to this site looking for inspiration and affirmation. But the truth is that what is happening to our society at this time is a spiritual issue. Greed and avarice seem to reign supreme. Our only hope is to hold close to one another, to maintain our own inner agendas and thus become a meaningful participant in the spiritual renaissance that is occurring simultaneously with obvious moral decay. And of course, we must remain active in our communities, supporting those causes which will, together, stem the tide that is trying to take over democracy in favor of capitalism run amuck. our need to be right. what it was we knew. If you weren't able to join the session or if you want to experience their wisdom again, you can participate in a free encore event on Saturday, April 4 at 10:00am Pacific. DON'T MISS IT. IT IS A RARE OPPORTUNITY TO HEAR TWO OUTSTANDING SPIRITUAL TEACHERS SHARE THEIR PRECIOUS INSIGHTS WITH US! Yesterday I listened to one of the most brilliant, wise and exciting presentations I have every heard on anything. 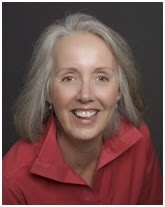 Andrew Harvey and Sally Kempton have teamed up for a six-months webinar on Shift Network--the free introductory lecture Wednesday night offered an overview of this course: http://theshiftnetwork.com/EvolutionaryGoddess––and what a view it was! How can I adequately described the overall impact of this presentation? Here we have two great spiritual teachers who combine wisdom, experience, background, and deep understanding of our current world crisis as well as ways to survive it. 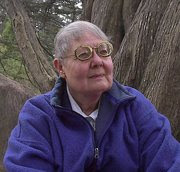 Sally comes from a long background of spiritual involvement, including many years in an ashram (Muktananda, who emphasized Kundalini) and has subsequently explored in depth the many goddesses East and West. Andrew has delved into virtually all of the spiritual traditions with the result that he feels that the divine feminine lies at the heart of each. These two agree that only by combining both the feminine and masculine elements within ourselves will we as individuals and the world at large survive our present crisis. Frankly, I am a bit giddy from imbibing such clear headed insights and such profound wisdom from two such teachers. Such words as inspired, illuminating, stunning, or brilliant are too limited to describe this event. I am deeply grateful to have been able to hear it. And they were not shy about mentioning Kundalini itself and noting that bliss was the hallmark of illumination. They made me recall with regret the early days of my own awakening when I mentioned bliss to the movement teacher and was informed that "If you are lucky, you will get over this," and told by another established Taoist scholar, "No, the texts mention nothing such as you describe." Sally and Andrew also agree that bliss must then be transformed into action to serve the world in its present crisis. I will let you know if this presentation becomes available for replay or as text.